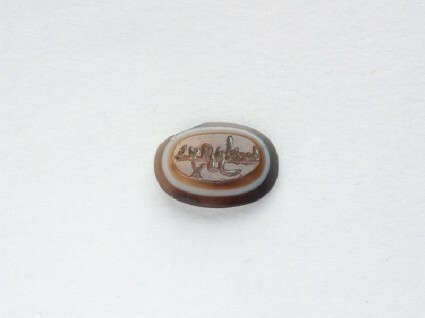 Onyx in alternating chesnut and white; bezel, bevelled towards the front; oval; back angle slightly cut. One line of kufic script, without dots. A lām-alif beneath. 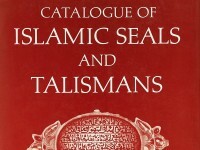 The person whose name is inscribed on the seal could be Ja'far b. Aḥmad b. Muḥammad (310-337/922-949) from the dynasty of Banijurids.